This lovely faux leather coin purse is embroidered with little hearts. 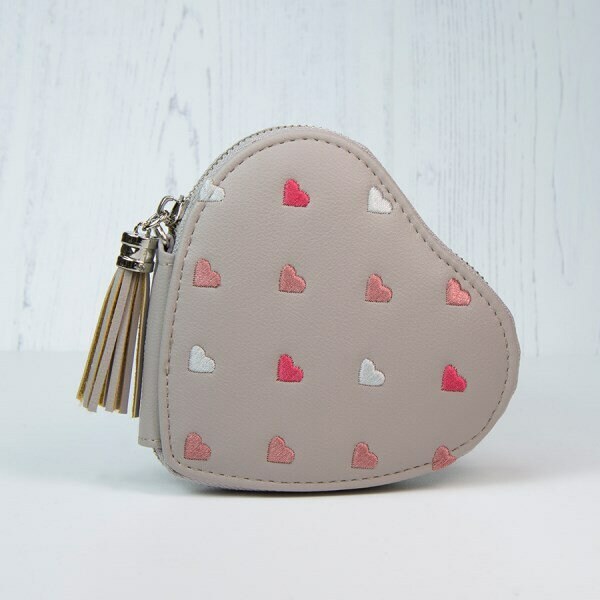 A little heart shaped purse is made from faux leather in a chic shade of taupe-grey. 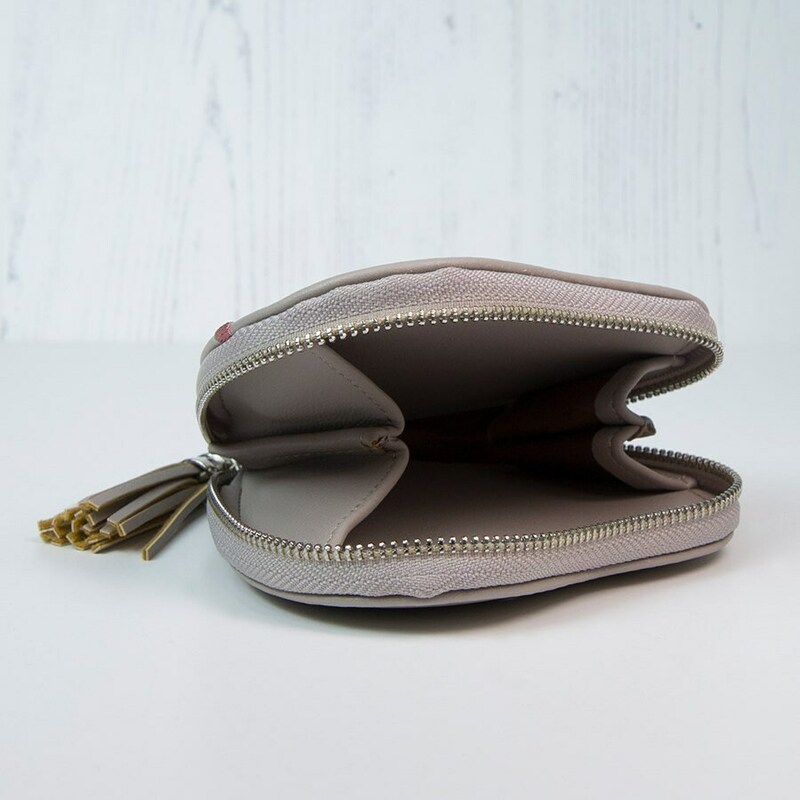 A silver zip runs along the edge of the heart and is finished with a matching faux leather taupe-grey coloured tassel. The from of the purse is embroidered with multiple rows of hearts in dusky pink, silvery grey and berry pink. We love the sophisticated colour combination in this purse and the beautifully soft tassel detail. 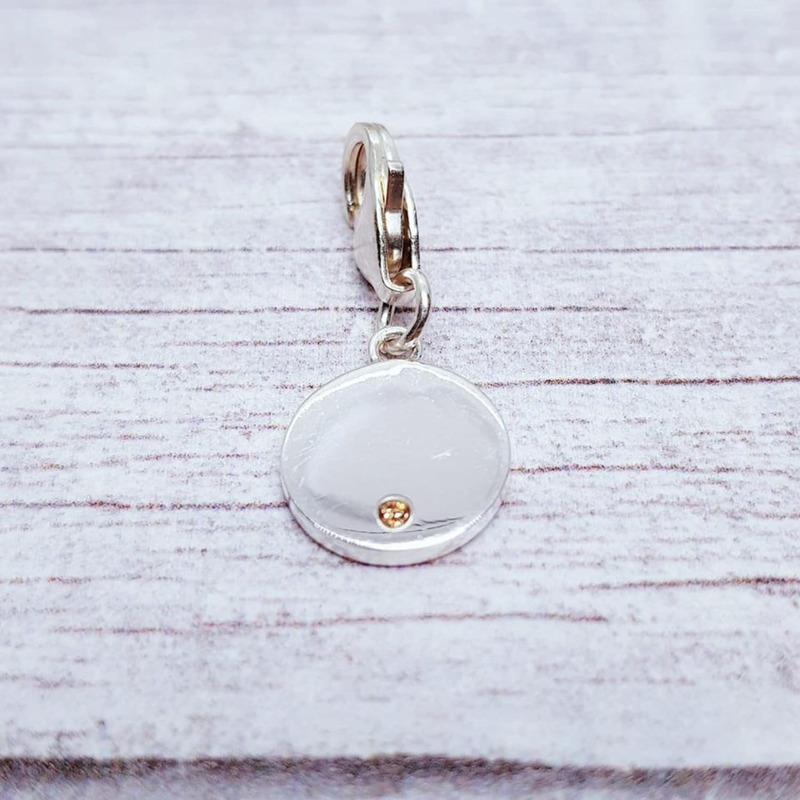 This lovely piece includes a sterling silver disc that includes up to 40 characters of engraving over two sides worth £56. It is a fantastic way to add a personal touch to a very beautiful purse. 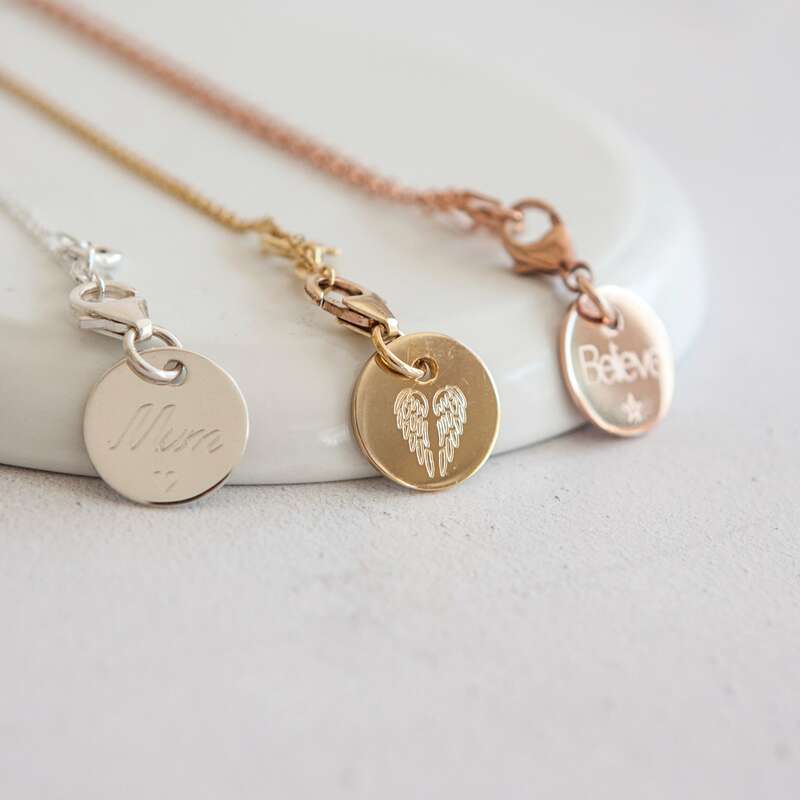 What's more - because of the unique way that we attach your disc, it can be removed and used as a standalone charm on a charm bracelet and, best of all, it is possible to personalise this charm further - including options such as adding one of our fabulous symbols, changing the finish of your disc to rose/yellow gold, changing the chain or even adding a single birthstone to stand alongside your engraving at a small extra cost. 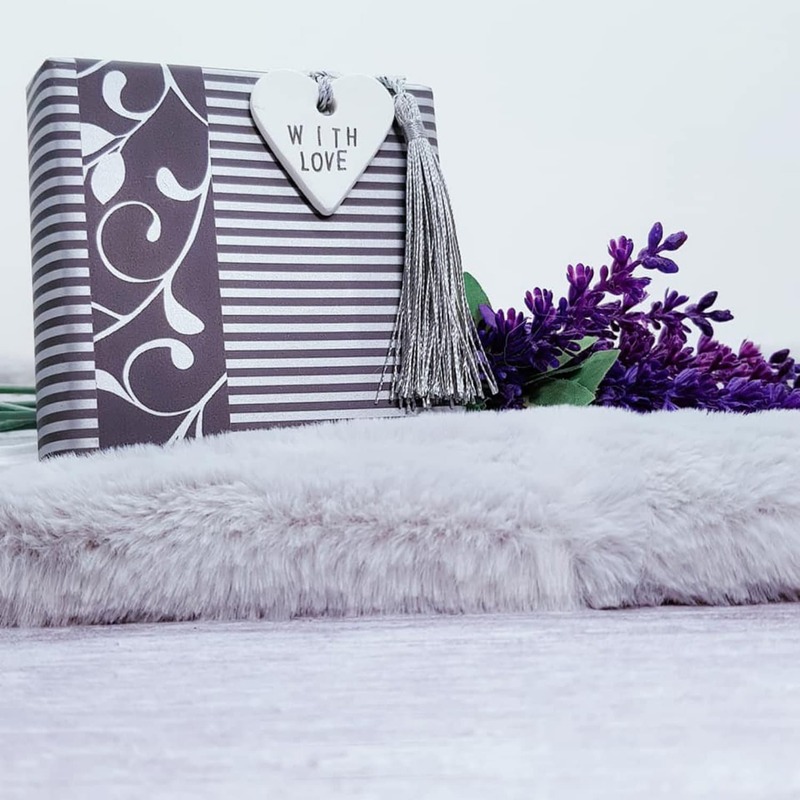 Each purse is thoughtfully packaged and sent in a cardboard box to avoid damage.